Use the form below to inquire about Vintage Nature Resort At Sadri . Use the form below to reserve for Vintage Nature Resort At Sadri . These are spacious rooms with antique decor and furnishings. The cottages they are in have large verandas opening into the property. 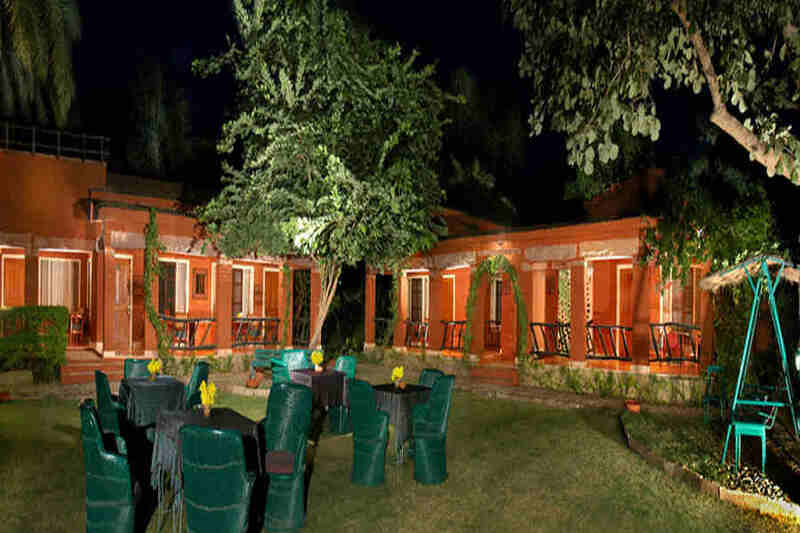 Bask in the glow of royalty at this Vintage Nature Resort At Sadri, its idyllic beauty making for a peaceful vacation. Nestled in the immediate vicinity of the dams in Sadri, a quaint little town of greenery in the center of the triumvirate of Mount Abu, Udaipur, and Jodhpur, is this resort. This Vintage Nature Resort At Sadri is akin to a sparkling oasis in the midst of a rugged landscape and is driving distance from the Ranakpur Dam, which, along with Sadri, is comparatively unexplored. 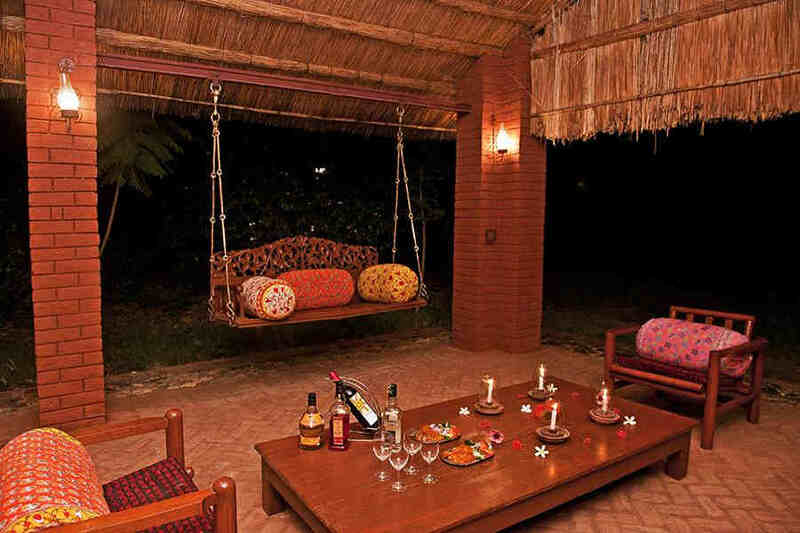 This Vintage Nature Resort At Sadri is spread across many acres, with the ambience of a resort enclosed in an orchard. With the groves towering over the cottages in the property, the resort is away from the din of daily life, and offers you signature service and much needed tranquillity. 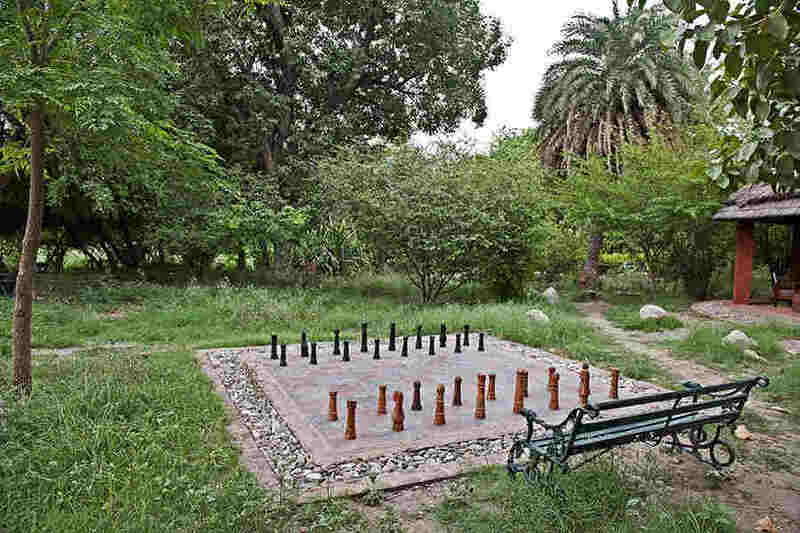 The property has a swimming pool built next to a stone structure and the grounds are dotted with open gazebos. The dining experience includes charcoal braziers serving kebabs to be enjoyed alongside wines with a choice of eclectic spots including thatched huts to enjoy your meals. Indian and Continental cuisine figures on the menu along with authentic Rajasthani dishes. The resort goes an extra mile to provide you with a traditional Rajasthani experience – from mud ovens to the involvement of the local community. 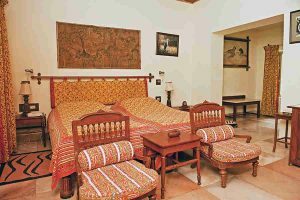 The unique rooms at the Vintage Nature Resort At Sadri display the influence of royalty and are situated within 16 cottages that are spread across the property. Antique décor meets chic furniture in each of the tastefully decorated, spacious rooms. The cottages, complemented by spacious verandas, open out to the property breathing fresh life into each moment of your stay. 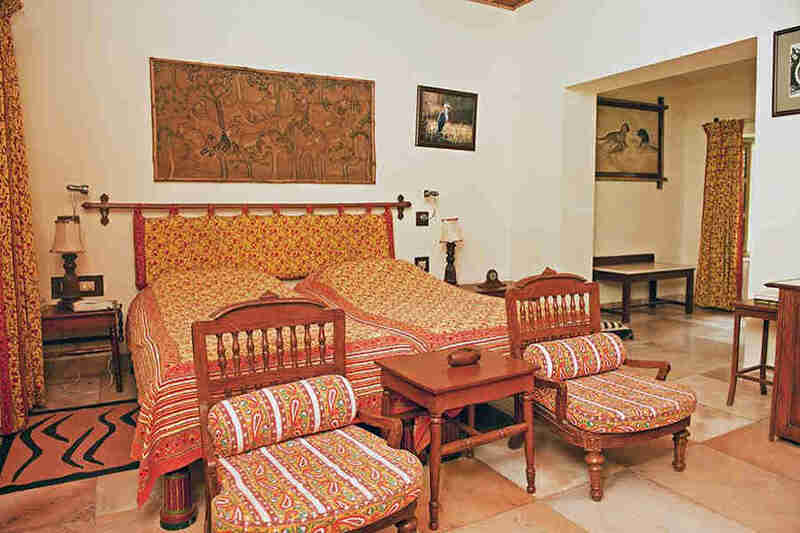 Designed keeping in mind the comfort of guests, each of the rooms showcase the arts and crafts of Rajasthan. 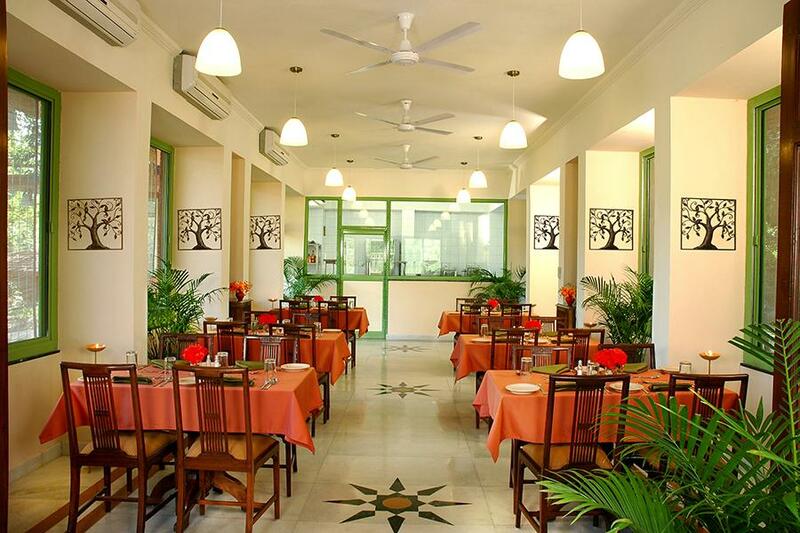 The spectacular ambience and the wonderful service at this resort is exactly what you need! Lunch and dinner will be charged at INR 600 INR 700 respectively. The premises of the resort offer plenty of opportunity for recreation. You can go for a leisurely swim in the beautifully designed pool, play some indoor games, or enjoy a couple of rounds of outdoor chess on the huge chessboard. There is a badminton court if that is the sport of your choice. Get some pampering by booking a massage service or add some fun to your holiday with a theme evening. End the night with a roaring campfire as you enjoy a sumptuous dinner with delectable delicacies. 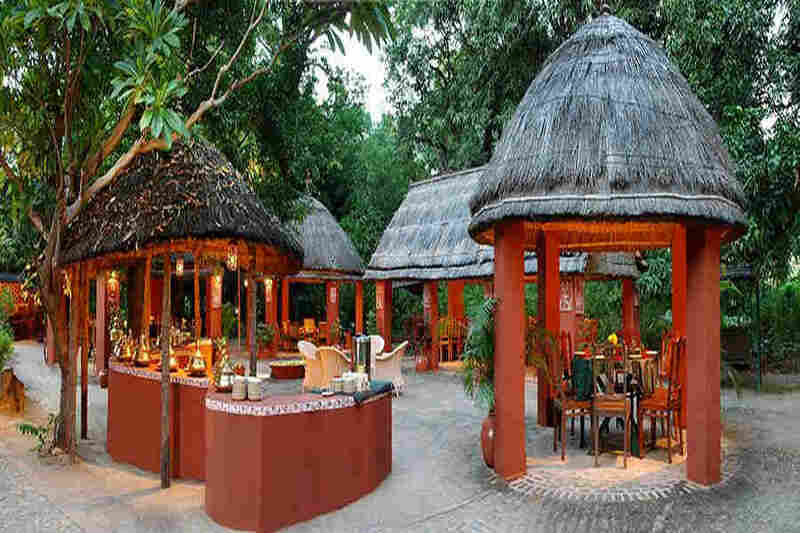 Go on a nature trail walk or enjoy horse, camel, or bullock cart rides and safaris. Get some exercise with cycling or indulge in some bird watching. Check out the Ranakpur Temples as well as the Varahavatar Temple and the Chintamani Parasvanath Temple. The town of Desuri is also home to plenty of ancient temples with Lord Shiva, Lord Hanuman, and Navi Mata as the deities. 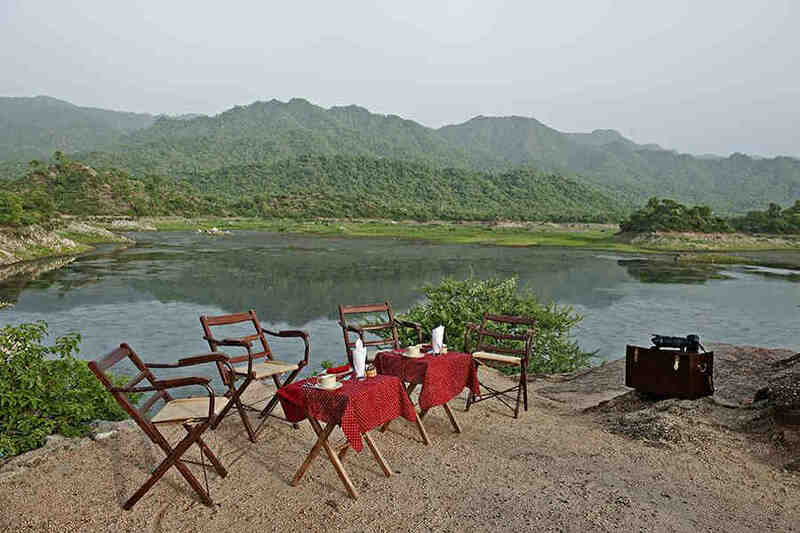 You can also go for a picnic at Sadri Dam and enjoy a leisurely lunch as you take in the soothing views. Udaipur Airport is nearest at a distance of 110 km, followed by Jodhpur Airport at 168 km. Indira Gandhi International Airport, New Delhi, is 600 Km away. Falna Junction is the nearest at about 30 km while Udaipur Junction is 95 km away. Jodhpur Junction is 158 km away while New Delhi station is situated at a distance of 613 km. Udaipur is a 97 km drive along RJ SH 32 and NH27 while Jodhpur is 161 km away via NH64. New Delhi is 623 km along NH58 and NH48.